Happy New Year! 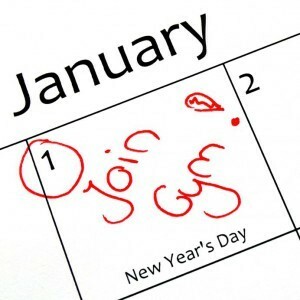 Are you one of the many people who make awesome healthy resolutions on January 1st but by January 20-something you’ve already ditched that grand idea and are right back where you started? Here are 10 tips to help you stick to those healthy resolutions and stay fit the entire year! One day at a time. Who cares if you missed last week’s workout! Leave your guilt in the past. Try and live each day as a new one and be in the present. Realistic goals. There is no way you can diet and lose 30 pounds in a week- at least not in a healthy manor. Start slow and work your way up. Track it. Write what you eat in a journal. Keep a log of your workouts. When you write things down, you can easily remember what you did days ago and see your progress. Enjoy it. Don’t do exercises that you dread for every single workout. It takes weeks to see change but when that change comes celebrate the progress. Switch it up. By doing the same workout every day and eating the same foods you will become so tired of the routine and want to quit. Don’t put yourself into a rut! Always be willing to change things up. Plan ahead. Look at the calendar a day or a week in advance. Schedule your workout the same as you would schedule an important meeting. Prepare your meals in advance. Everyone has a hectic schedule these days which can cause us to either forget to eat or to get so hungry that we make bad food choices. Don’t skip because of lack of planning and don’t make an unhealthy choice because you got too hungry. Hang tough. For the first workouts, you are going to think that your form is terrible, and guess what… everyone has bad form when they first start out. This is a learning experience and over time you will get better and stronger. Don’t give up because your muscles are sore either!! Soon, what used to be your workout will become your warm up! Bring a friend. Maybe you are a social person and that is ok. Bring someone along who will encourage you and help you when needed. Don’t bring a friend who always complains and talks more than getting to work. Focus on yourself. Yes, it’s all about YOU! This is not a competition between you and anyone else. Choose to be healthier for yourself! Take time. You are #1!! Whatever you do, don’t think you can push your health to the side because the kids need to get to a friend’s house or because work scheduled you an extra hour. Give yourself 30-60 minutes to clear your mind and relieve some stress. Remember the more your heart pumps the more endorphins (body’s natural happy drug) start to flow. ← Are You in a Rut?